Ding dong, winter is dead! It’s time to celebrate the new season and bring your interiors back to life. These simple changes will banish winter’s gloom and invigorate your living spaces without smashing the budget. Banish the darkness of winter and celebrate the lengthening days by maximising the amount of light in your living areas. There are loads of ways of doing this: the simplest and cheapest being simply to give your windows a good wash, inside and out, until they sparkle. 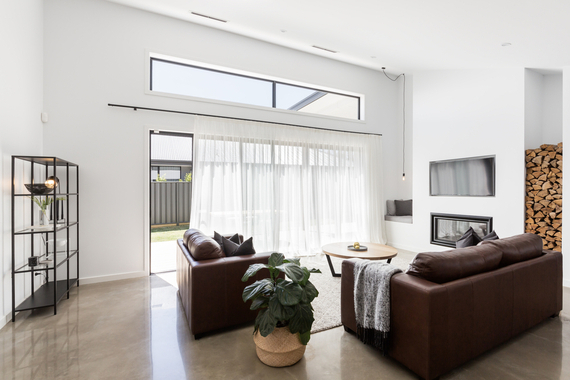 Consider replacing heavy drapes with floaty sheers, discrete blinds or with white plantation shutters, which actually increase the amount of the light in the room as sunlight bounces off the blades. If privacy is not an issue, you can even remove the window coverings entirely, a bold trick that dramatically opens up a room. Mirrors are every interior designer’s secret weapon for maximising light. Choose beautiful mirrors in frames that will complement your interiors, and position them where they will help illuminate any darker corners. Just as the trees are budding and flowers blooming outside, so your interiors can get an instant lift by introducing some botanical-inspired homewares. Pantone’s colour of the year for 2017 is Greenery, a zesty, vibrant shade of green that would give any room an instant lift. Consider matching vibrant green cushions with others in fresh floral fabrics for an instant garden-inspired update. If you’re feeling more daring, consider a floral patterned wallpaper – look for something bold and modern, rather than cottage-garden fussy. Not sure if you’ll love this look for the long haul? Removable wallpaper is a savvy solution that’s easy to apply yourself and even easier to take down when you need a new look. Of course, adding florals to your interior scheme is most easily – and literally – achieved by hitting the flower markets and stocking up on spring’s bounty. Dust off your vases and fill them with blooms – try substituting the usual roses and tulips for more sculptural arrangements: think twiggy and dramatically fragrant cherry blossoms, or tropical monstera leaves. Winter smells warm and comforting, of log fires and spices, but with the coming of spring, it’s time to switch to a new seasonal scent. 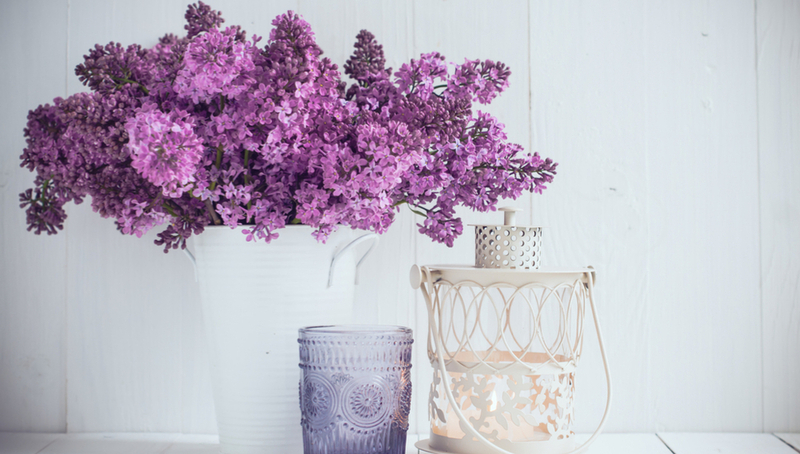 Look for scented candles in bright, uplifting fragrances: citrus, jasmine, cut grass, mint or fresh linen. Chase out the lingering stuffy smells of winter by flinging all your windows and doors open. Replant garden beds with fragrant blooms or place potted plants near doors for a waft of spring-fresh perfume every time you open up the house. Getting rid of stockpiled clutter and rearranging your furniture is one of the most effective – and cheapest – ways to bring your home into the new season. Start by clearing the thoroughfares; you should be able to waft through your home like spring breeze, rather than crab-stepping around side tables and piles of old magazines. Take the opportunity to reorganise all your shelves and table arrangements, finding out-of-sight storage for anything that’s not adding to the room’s aesthetic and playing around with cute little vignettes. Look at creating quirky but restrained arrangements with fresh blooms in small bud vases or vintage bottles, scented candles, bowls of shells or stones, or whatever else speaks to you. Experiment and have fun!